The good old “Got Milk?” aid aimed to pique Americans’ interest in it and convey the message that drinking milk is essential for growing up healthy and strong. The narrative dates back to the mid-century shift of the dairy industry towards civilians: after World War I, when there were no more soldiers fighting abroad to supply them with milk, the excess produce had to find its audience. With the help of the government, milky rivers made their way to schools, where it became a symbol of health and that very Americanness which is now known all over the world. However, conventional milk’s success has seen better days. Today, its healthiness is challenged, as more evidence suggesting it can be dangerous is accumulating (though findings are often controversial). Now that scientists have reported more than once that the nutrients which are regarded as vital to child development and body functioning can be found in other sources, it is no wonder that the industry is no longer bourgeoning. What is more, it now faces fierce competition from plant milk, or “cow-nterfeit”, as the Big Dairy advocates prefer to say. 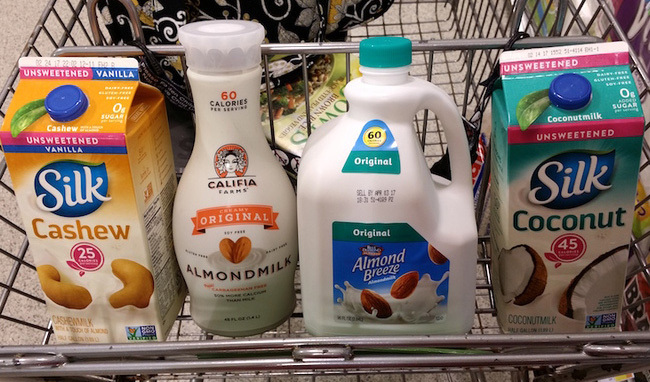 A FDA representative has recently said that it is a pity nondairy products use the term “milk” to promote plant-derived drinks. “An almond doesn’t lactate” was the reasoning. It is assumed that the very definition of milk implies lacteal secretion, and since nuts and vegetables do not do this, it is a trick used by the newfangled plant milk industry to convince everyone that the alternative is just as healthy. Be that as it may, it is people who define concepts, and there are things which do not fall into the categories to which they supposedly should belong due to their name, like peanut butter, for example. Most people call plant milk this way because of its creaminess – there is no doubt that the overwhelming majority of consumers are aware of the fact that there is no lactose (and for many, it is one of the key reasons for buying it!). 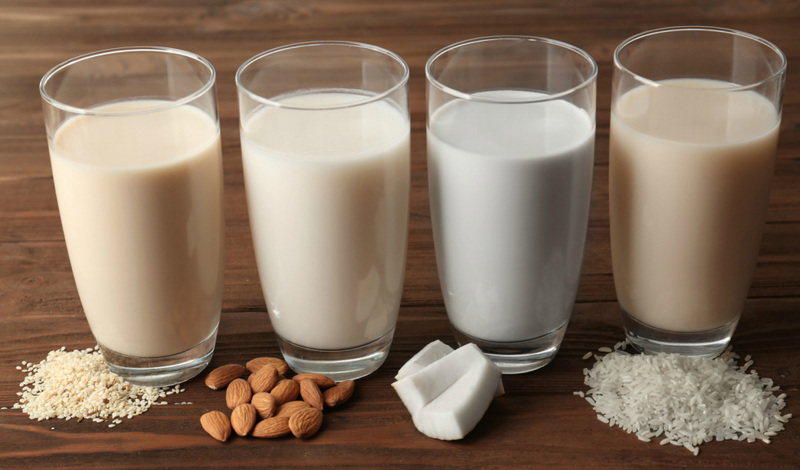 Of course, it would be naïve to say that nut-milkers do not succumb to the attempt to trade on the milk brand – it sounds way healthier than just “drink” – but it is even more obvious that Big Dairy takes exception to what is going on, and this war of definitions is fueled by the plunging profits of the latter. Whatever the situation in the world of trade, there is actually nothing wrong about calling nut milk “milk”. This term has been applied to plant-derived drinks for centuries. Almonds, which are one of the most widely used materials for plant milk, originated in the Middle East. When they appeared in Europe in the 8th century, its pureed form mixed with water was known as milk, and not only in one region, but in many languages and even dialects. In some languages, such as Hindi, Farsi and Punjabi, the term “milk” is used to denote secretions of both animals and plants. There is another curious piece of linguistic evidence supporting the use of the term in a sense wider than animal milk: in Latin, lettuce has the root word of lact – it was used to describe the milky juice from it, which means it has never been tied to a particular kind of animal-derived products. In the 17th century, Francis Bacon called botanical liquids milk, including those of figs. The 18th century edition of Encyclopedia Britannica states that vegetable-derived emulsive liquids can be called vegetable milks, and the same is true of almonds. Everything said above boils down to the idea that plant milk has the right to be called so, whatever those supporting the dairy industry may say. People got used to applying the term to this kind of drinks, and given the historical evidence of this use, there is nothing wrong about calling creamy liquids milk – regardless of what political and economical games they are involved in.